KB4467708 OS Build 17763.134 for Windows 10 was released a few days ago, providing quality improvements and fixes to issues that plagued version 1809. Protection against a vulnerability known as Speculative Store Bypass (CVE-2018-3639), which affects AMD-based computers. A Microsoft account (MSA) log-in error that prevents users from signing in to a different account after logging out. Log-in problems for Internet of Things (IoT) Universal Windows Platform (UWP) apps. Automatic launching of on-screen keyboard when running automated tests or installing a physical keyboard. Security updates for Microsoft Edge, Windows Scripting, Graphics, Media, Wireless Networking, Internet Explorer, Windows App Platform and Framework, Server, and Kernel. KB4467708, however, failed to fix the Notifications issue that has been plaguing Windows 10 version 1809. The problem has been identified since build 1809 was released in October, and several users have reported the issue in various forums and discussion sites. Aside from the missing notification banner, notifications that are in the Action Center have also stopped showing when background applications are turned off. Microsoft has acknowledged the bug related to the notifications, action center and task manager, and has earlier promised to release an update to resolve these issues in upcoming builds. When build 19H1 was released, it was mentioned in the change log that the notifications problem has been addressed, but these solutions did not translate to the public build, which is 1809. According to the 19H1 change log, Microsoft has already announced that it has already fixed the issue of the Action Center suddenly appearing on the other side of the screen before appearing on its supposed location. The 19H1 build has also resolved the problem around the Action Center icon showing a number of unread notifications that actually lead to an empty Action Center once opened. However , these fixes were not carried over to the production build 1809 , and there is no word from Microsoft yet when this problem will be fixed. There’s no official solution to the Notifications problem yet, but some users have posted various ways to deal with this issue. Users who are experiencing this problem can try any of these methods while waiting for the official fix from Microsoft. Open Settings and click Privacy. Select Background apps from the left-side menu. Make sure that the option Let apps run in the background is switched on. Turn on all the apps you want to receive notifications from. By doing this, you’ll be able to start receiving notifications on Windows 10 once again. 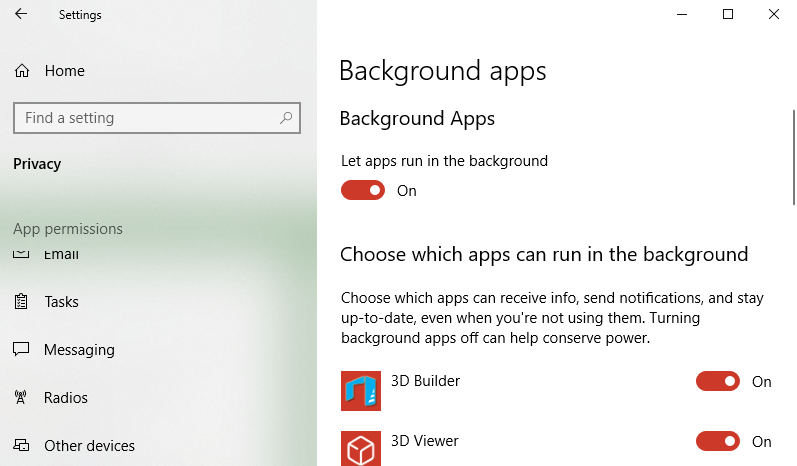 This means that background apps need to be running continuously for notifications to appear on Windows 10 1809. The next method was recommended by a Windows 10 user and requires you to restart Windows Explorer using Task Manager. Since directly clicking on the message or opening the Notification Center can lead to the disappearance of the notifications and all the other future messages, Windows Explorer has to be terminated and restarted for the notifications to properly show. 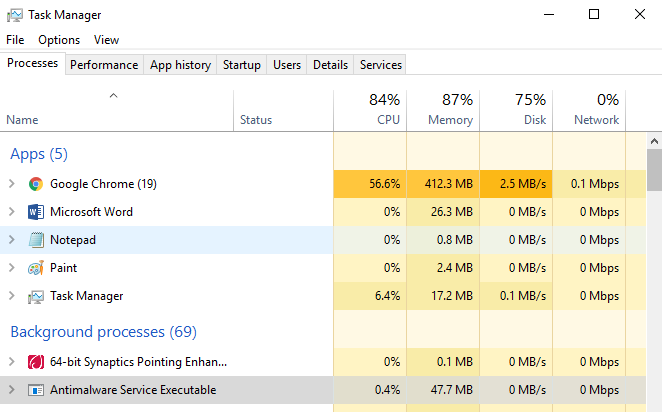 Click Start and type Task Manager in the search box. Click the Processes tab and select the exe process. Scroll down to the bottom of the window and hit End Process. Click End Process once again when the prompt appears. This will kill the Windows Explorer process. To restart Windows Explorer, click File at the top of the window. Click on New Task and type in explorer. Click OK. This should restart your Windows Explorer process. Method #3: Clean up your computer. One of the common reasons for Windows problems, such as notifications not showing, is the trash on your device. As time goes on, cache, temporary files, downloads, updates, and other junk files accumulate and may cause issues on your PC. You can either delete each file manually (which would take tons of hours of work) or you can use a tool such as Outbyte PC Repair to delete all of them in one click. Aside from clearing trash, this app also scans for issues on your system and optimizes your processes and transactions. Windows 10 cumulative update KB4467708 has only been released for a few days and Microsoft has not yet announced how it will deal with the Notifications issue in the next builds (or whether it will be resolved at all). Users who have updated to version 1809 and are experiencing this issue would then have to resolve this problem on their own while waiting for Microsoft’s official solution.